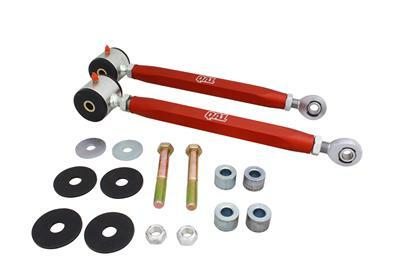 QA1’s Adjustable Rear Toe Links help keep the tires planted firmly on the ground and pointed in the right direction to improve handling performance. The QA1 Adjustable Rear Toe Links help keep the tires planted firmly on the ground and pointed in the right direction to improve handling performance. They are constructed with aluminum adjustment sleeves, 5/8” heavy duty rod ends and urethane bushings for strength and stability. 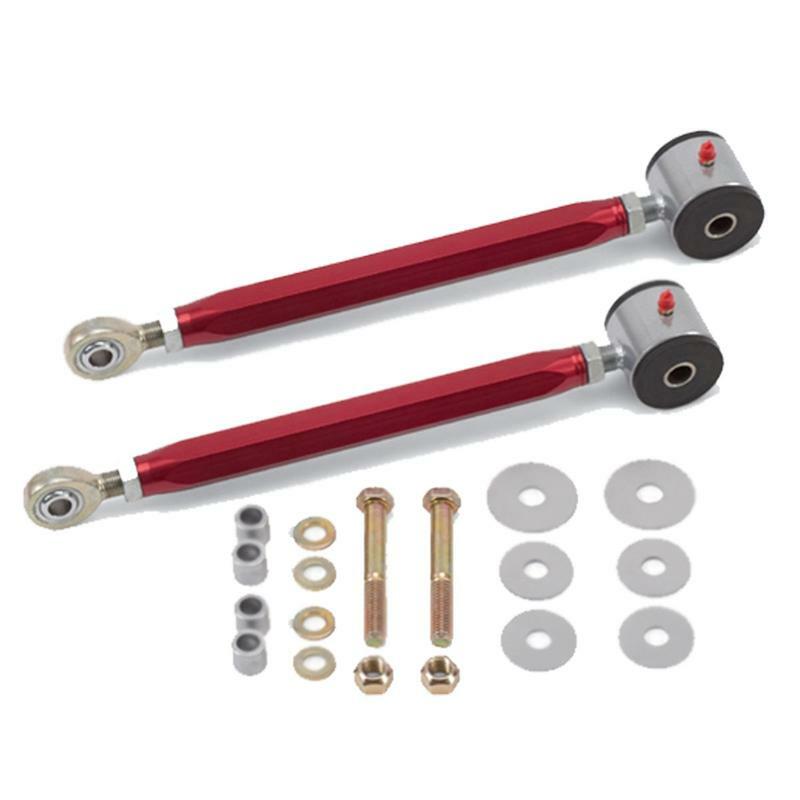 They replace OEM arms produced from stamped steel that can deform under hard cornering loads and which use an eccentric for rear toe adjustment that is susceptible to slippage. The rod end on the QA1 Toe Links allow the suspension to operate smoothly throughout its full range of motion. The kit includes lockouts for the eccentrics to stop any movement of the rear toe adjustment and relocate the adjustment point onto the toe link for a finer and easier adjustment.